Getting Started: Repair cafes started out in Amsterdam as part of an initiative to reduce waste. The Netherlands adopted it as part of one of their national initiatives, and now, they have practically zero waste. You bring your item, and there are volunteers there who are ready to fix almost anything so you don’t have to throw it away. The deal is that you stay there with your item, and we’ll teach you how to fix it. It can be everything from learning how to thread a needle to sew a hole in your pocket, or learning how to glue a peg back onto your chair. 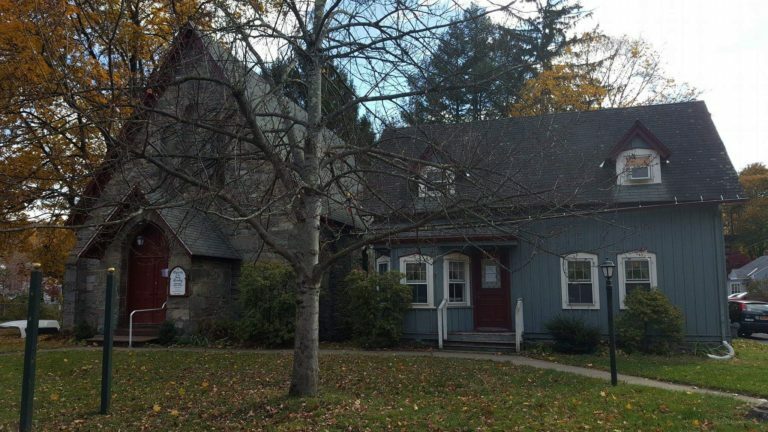 John Wackman started the first one in the Hudson Valley, in New Paltz in 2012 along with the United Methodist Church. There are now 20 Repaire Cafes in the Hudson Valley, including the one in Esopus. 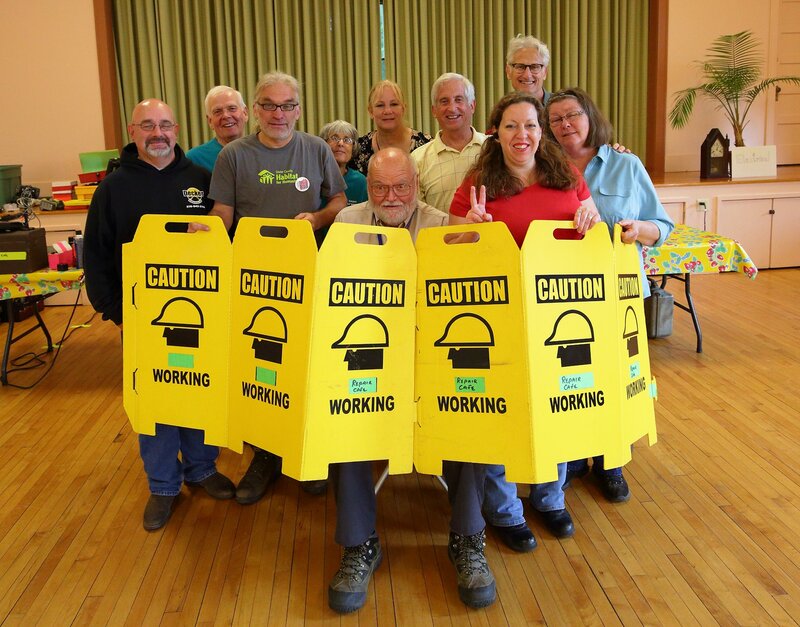 Community Response: We started in August in 2017 at the Reformed Church in Esopus. It started to pick up momentum, and I believe the Esopus Library is going to pick it up as one of their projects. The library has a program where you can sign on free to Ancestry.com, which is going to be tied into the Repair Cafe, and the library also helps people reduce waste by borrowing books, tapes, cds, etc. It really brings people together. One of the volunteers is a retired IBMer named Don Griese, who helps people with computer problems, fixing old photos, taking out watermarks and stuff like that. Someone walked in with curtains that she wanted repaired, and she looked over and realized Don looked familiar. 30 years ago, they worked together at IBM, and they sat together and got to talking about old times. They hadn’t seen each other in decades. People who love to tinker are getting out and doing public service, and it’s just something that people are craving these days. Getting Started: I met my wife, Mary, in college at New Paltz, she grew up here in West Park. We moved back here in 1990, built a house and have lived here since then while teaching in Ellenville. We retired in 2005. Mary really coordinates the food pantry for our parish at Ascension Holy Trinity. One is in Highland, and the new one is here in West Park. We started in 2013 with a simple coat drive. People who came in to get coats because it was cold kept asking us about food, and we decided to offer food as well. Our initial food pantry was food on several carts, and we’re open a few days a week in Highland with limited hours, including on Wednesday evenings to reach the working poor. I started researching some grants, and was able to work with the Food Bank of Northeastern New York. We applied for membership, and we’ve been a member agency for about three to or four years at the site site in Highland. Community Response: There simply is a need here, there are pockets of poverty here. The food pantry in West Park is open from 1-3 on Sundays. We’ve had a number of folks utilize the services there, and depend solely on donations to keep us going. We have a number of community partners who’ve been very generous. Between the two food pantries, we’ve fed over 9,000 people. People find out about it and say we’re the best kept secret, it’s all word of mouth. Folks come through our doors and leave with food, but also a connection so they’re no longer the other. We have close to 40 volunteers, and we’re always looking for more. We have a very supportive community, sourcing food from a variety of agencies like TLC in West Park, the food recovery program, the Omega Institute, Ulster Corps and more. We’re just trying to meet people where they are and maintain their dignity. We have folks who have a cup of coffee and gab with us for a long time. 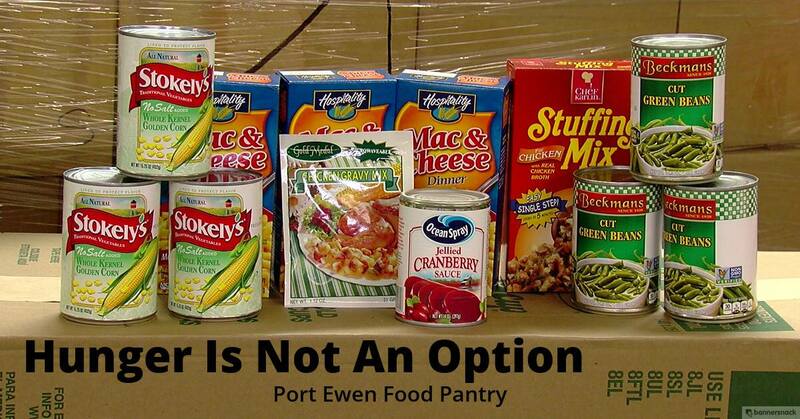 Getting Started: I have been the coordinator of the Port Ewen food pantry since about 2007 or 2008. We have the support of several community groups, and we hold several food drives a year, mostly between November and January. We take care of approximately 100 families per month, sometimes more, sometimes less, we’re part of the state’s emergency food bank, and we give out three days a week of food for every member of the families we serve. Last year we gave out about 30 food baskets for Thanksgiving, and 25 or so for Christmas. Each food basket is basically enough food for a holiday meal. We started out on donations from the Ladies Auxiliary, the Boy Scouts, the Port Ewen Library, and small cash donations from individuals. The church that houses us has taken us under their umbrella, so we’re a non-profit. Community Response: The library is helping with a program, and Pack 226 of local boy scouts always have a hunger drive. They’ve approached the Rip Van Winkle Council to have more food set aside specifically for the Port Ewen food pantry because it’s more local. The Port Ewen Reformed Church underwrites our discount milk card for Stewart’s… our families get a half gallon of milk at no cost to them. The Bruderhof at Maple Ridge donate bread to us, which basically fills out our freezer. I retired a couple of years ago, and I’m busier now with the food bank pantry than I was with any job I ever had, but it’s something I’m dedicated to. We can always use more help, so if there are any kids out there who need community service hours, we could use help stocking shelves.